Sarcastic Angel hailed from Forte Da Casa, Vila Franca de Xira. 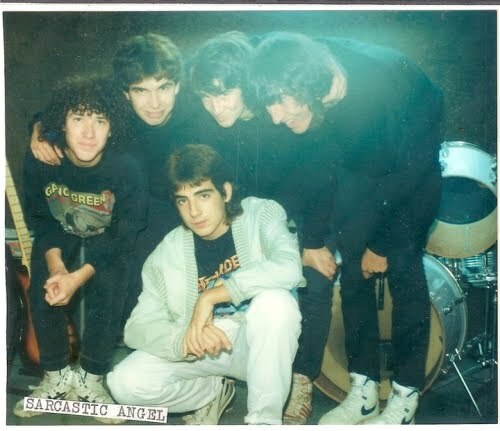 Formed around March 1990 by Paulo Suicidal drums, Nelo guitar and Strong vocals. 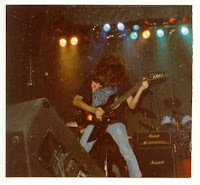 In April 1990, Joca joins as a 2nd guitarrist but in May he leaved and is replaced by Ivo. June 28th 1990 the band gave their first concert in their home town for about 300 people. In February 1991 they released their first demo tape entitled "Time To Change", already with a fifth element, Baltrão bass. 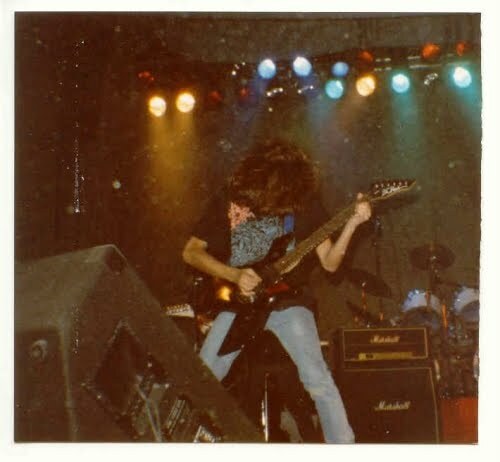 The demo included 5 tracks: "Anne Frank", "Time To Change", "Antichrist", "Edge of Glow" and "No Will To Live". 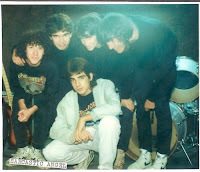 Follows that, their second concert, in Vialonga, March 22th 1991 and a 3rd one in Alverca, May 25th followed by another in Rio Maior, Caldas da Rainha June 1th. After these gigs the band begins working on new songs for a second demo. 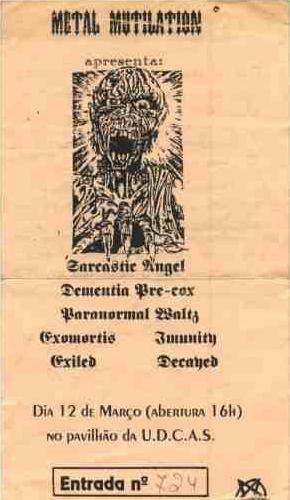 In April 4th 1992 Sarcastic played live at the 1st Festival Metal Rock, Rio Maior. The group enters the studio on April 22th 1992, to record 7 tracks that would be launched in June 8th 1992. 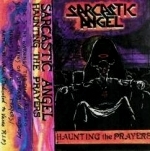 Entitled "Haunting The Prayers", the tracklist "No Warning", "The Omen", "Agitato (instrumental)", "The Chains of Oppression", "Nobody Knows", "Haunting The Prayers" and "Aeternum Vale (dedicated to Vasco, RIP)". In 1994 the band enter the studios again and recorded a few songs, but released only a promo track "Steps". 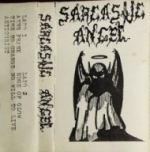 After a year, Sarcastic Angel separated and some members went to form Sarcastic, following a Gothic Metal vein.